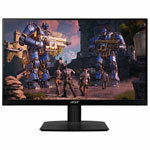 Whether you’re saving the world from alien invasion, scoring the game-winning goal in overtime, or taking down a high-level target with the rest of your squad, the right gaming monitor can mean the difference between “Mission Accomplished” and “Game Over”. 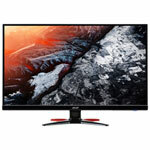 When compared with standard displays, gaming monitors provide greater detail and smoother visuals, so you can react and respond with enhanced speed and precision. 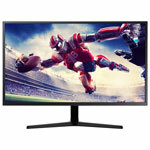 If you’ve been thinking about upgrading your battle station, or you’re setting one up from scratch, here’s a quick look at everything you to need know about how to choose the best gaming monitor for today’s games. 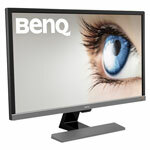 When you’re shopping for a gaming monitor, keep the three R’s in mind – refresh rate, response time, and resolution. 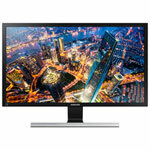 It’s tempting to think that a monitor with the highest resolution will deliver the best visual experience. But when it comes to gaming, refresh rate and response time are just as important than resolution, if not more so. 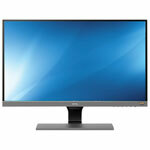 Refresh rate refers to how long it takes the monitor to redraw the entire screen. 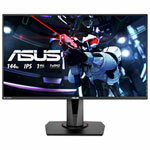 Most standard monitors have a refresh rate of 60Hz, and while that’s fine for surfing the web or streaming the occasional movie, it’s not fast enough for gaming. 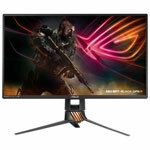 If you don’t want your games to look blurry during fast movement or on-screen action, look for a monitor with a refresh rate of at least 100Hz. 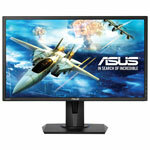 The best gaming monitors have refresh rates of 240Hz. Response time measures how long it takes a single pixel to change from one shade of gray to another. The faster the transition, the smoother and more blur-free the on-screen action will be. 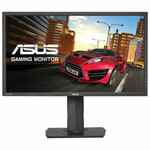 For gaming, try to choose a monitor with a response time of at least 4ms. 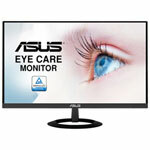 The best gaming monitors have response times of at least 2ms. 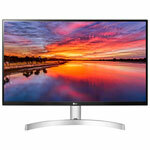 Resolution refers to the number of pixels that can fit on the display. 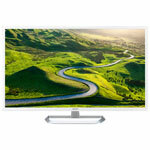 The more pixels, the sharper and more detailed the images being displayed. 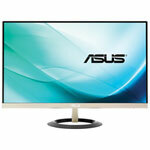 For gaming, nothing less than a Full HD 1080p (1920 x 1080) resolution will do. 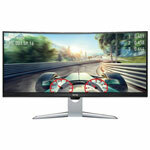 The best gaming monitors feature a 4K Ultra HD resolution, which is four times that of 1080p. Beyond the three R’s, you’ll want to weigh the importance of a few other factors as well. How you feel about some of these other features and considerations will depend on your personal preferences, as well as your overall budget. 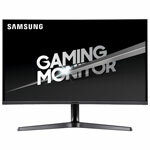 When you’re picking a new gaming monitor, display size isn’t super critical and shouldn’t be the deciding factor. Instead, take into account the display’s resolution when assessing screen size. 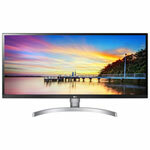 For 4K Ultra HD monitors, it’s best to aim for a larger screen. 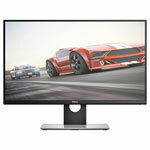 For 1080p monitors, 24” and under is ideal. 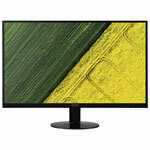 There are two types of display panels in today’s gaming monitors: TN (twisted nematic) and IPS (in-plane switching). 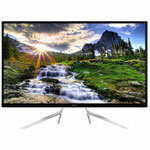 TN displays support the fastest response times, while IPS displays deliver better colour and contrast. 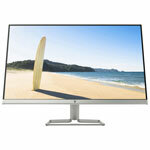 When compared with flat panel displays, curved monitors deliver greater visual fidelity thanks to better viewing angles. 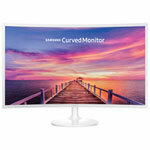 On a curved monitor, each point on the display is an equal distance from your eyes. 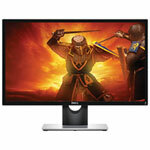 This can be especially helpful for gamers, who may be monitoring several HUDs clustered in the corners of the display. 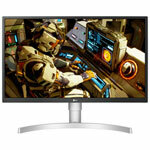 Conventional gaming monitors typically have an aspect ratio of 16:9. 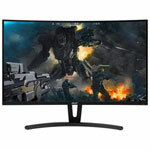 Ultra-wide gaming monitors, by contrast, have aspect ratios of 21:9, 32:9, and beyond. 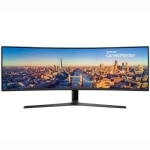 This creates a panoramic feel that’s ideal for gamers, allowing them to expand their in-game peripheral vision and see more on-screen at once. 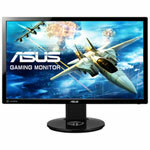 Ultimately, the performance of a gaming monitor depends largely on the hardware it’s paired with. To unlock the full potential of today’s best games, you’ll also need a relatively powerful gaming PC or laptop that’s equipped with a high-end video card. 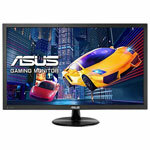 You’ll also want to ensure the monitor you choose has the appropriate inputs you need to connect it to your PC, laptop, gaming console, or other devices. 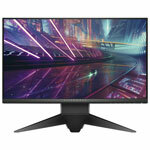 Most gaming monitors now include both DisplayPort and HDMI inputs, as well as headphone jacks and integrated USB ports.